Fun and Creative ideas for Teaching English: Who are the homeless and how do we count them? For the thousands of people who are sleeping on the streets or are in temporary accommodation, winter is one of the hardest times of the year. Being able to provide relief during this period depends, at least in part, on understanding how many people are affected by homelessness – and who they are. Unfortunately, that’s not straightforward. In the UK, a person is legally defined as homeless if they have accommodation but can’t reasonably be expected to occupy it, or if they don’t have any accommodation at all. This definition covers a broad range of circumstances – from those who can’t afford to pay rent, to those forced to leave home, for whatever reason. But the first thing to know is that there’s a big difference between the number of people who the state recognises as homeless and how many people actually are. This is known as the distinction between the “statutory” homeless, and the “non-statutory” or “single” homeless. 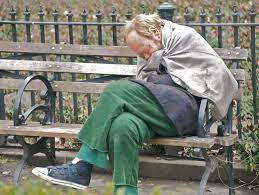 The “statutory” homeless are those who apply to local authorities as homeless, and are accepted as such. People are only accepted if the council deems that they are eligible for housing support, or can be classified as being “unintentionally homeless” or in “priority need”. Information on statutory homelessness is readily available. All local authorities are required to report on the number of statutory homelessness applications received (and “acceptances” made) to the government on a quarterly basis. In England, between April and June 2015, 13,850 households were accepted as homeless – an increase of 5% compared with the same quarter in 2014. Few of these households will have been without a roof over their heads. Rather, their circumstances can be considered an indicator of housing stress, as a result of relationship breakdown or over-crowding, for example. “Single” homelessness refers to individuals without dependents, who are not entitled to accommodation from local authorities. Some of these are visible on our streets – in autumn 2014, the official rough sleeping estimate was 2,744, up 14% from 2013. But most remain out of sight – “hidden” in bed and breakfasts or squats and on the floors and couches of friends and family. There is no effective or robust mechanism to monitor “single” homelessness, so these people are largely absent from government statistics. Our best estimate is that there were 2.23m single homeless people in England, in 2013. A comprehensive dataset is also lacking on the needs of homeless people.Countless surveys and other analyses (for instance, of the client records of those accessing hostels) indicate that single homeless people tend to be male and multiply disadvantaged: with low levels of educational attainment and histories of employment in low-skilled and low-paid occupations. The single homeless are also more likely to have a criminal record than the general population, and have higher incidences of physical and mental ill-health, addictions and a lower life expectancy. While this information is useful when it comes to commissioning support services, it masks significant nuances in the composition of the homeless population. It also risks perpetuating a view of single homeless people as antisocial, dangerous and “other”. 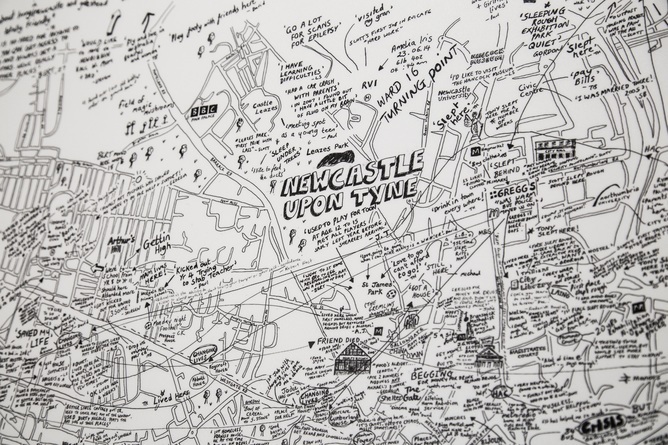 Two recent projects carried out in Newcastle-upon-Tyne have sought to challenge these perceptions. The first – called Imaging Homelessness in a City of Care – used a simple mapping exercise to explore in detail the rich life histories of 30 single homeless people. The second – Sounding Off – used a combination of interviews with homeless people and those who interacted with them, together with recordings in the field, to develop an interactive sound-walk, offering insights into the life histories of seven rough sleepers. The projects demonstrated the diversity of the participants’ early life experiences and pathways into homelessness. Some had experienced a lifetime of exclusion: their pathway into homelessness appeared almost inevitable. Others had led largely “normal” lives until adulthood, when a significant event – such as job loss or relationship breakdown – triggered a sudden pathway into homelessness. In this respect, the projects reinforced the notion that anyone can fall victim to homelessness – including those with no history of disadvantages. Of course, participants made many references to the behaviours that we stereotypically associate with single homeless people, such as begging, substance misuse and street dwelling. But these acts can often be explained as strategies for survival, rather than “antisocial” behaviour. Indeed, it’s even possible to interpret them as displays of creativity and resourcefulness needed to negotiate challenges that the housed public may struggle to even imagine. The people involved in these projects highlighted their personal experiences of joy, hope, sadness and pain – and referenced a range of activities which form part of everyone’s daily life, such as eating, sleeping and having relationships. So although it’s crucial that the state finds ways to count rough sleepers and “sofa surfers” as homeless and address their needs, it’s also important that our society starts to see the single homeless in a new light. They are fully emotional beings, with relatable needs, desires and identities, who also happen to be experiencing some of the most difficult living conditions in the UK.